How to get there: The mountain is located north-east of Kalifbjerg. 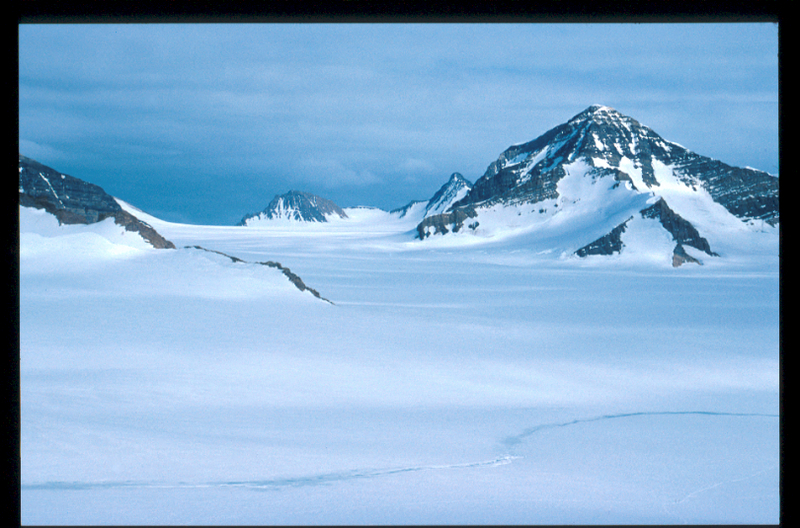 Route description: I skied to the eastern pass (between this mountain and the west ridge of Trappebjerg). From here one can ski the eastern ridge of Tangent Fjeld almost to its first summit. 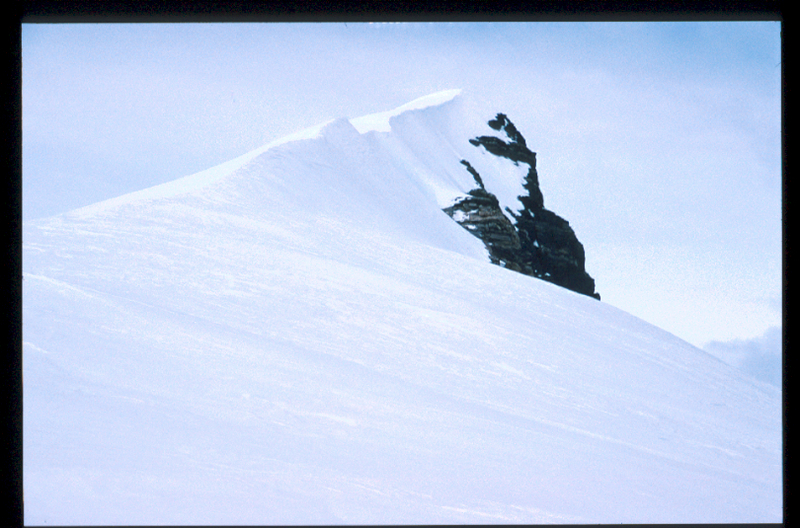 The ridge gets fairly narrow towards the end, but poses no real difficulty. Comments: I did this ski climb while the rest of the team started out on the nearby Kalifbjerg. Four members of our team climbed the north-west summit after decending from Kalifbjerg via a fairly direct, steep ice slope. That summit is slightly higher than the one described here. Tangentfjeld, as seen from the base of Baselfjeld (from northwest).